Welcome to the Partners Finance & Lease website. 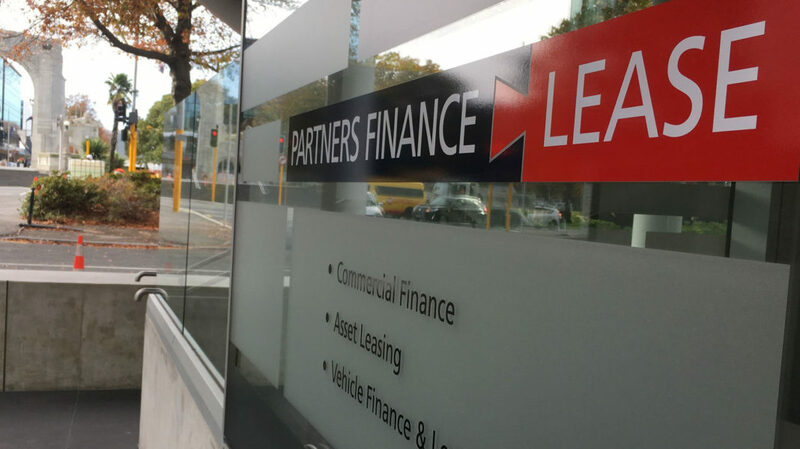 By viewing the pages of this website (www.partnersfinance.co.nz), you acknowledge that you have read and accepted the following disclaimers. This Website Security and Privacy Statement applies to Partners Finance & Lease website which is operated by Partners Finance & Lease. and is provided entirely voluntarily. This includes information provided at the time of registering to use our website; subscribing to the services we provide through our site; posting material; requesting products or services and engaging in correspondence with us by phone, email or otherwise. We may also ask you for information when you report a problem with our site. If you complete any surveys that we ask you to complete for research purposes, we will collect information in such circumstances as well. We will seek to minimise the information we ask for to that which is needed to perform the relevant function or service at the time. We automatically collect the following information when you interact with us: e.g. details of transactions you carry out through the site, and your visits to our site, including, but not limited to, traffic data, location data, weblogs and other communication data, and the resources you access. If you complete a contact form on the Contact or About Us pages, you permit to us using and storing the following information: your full name, company name, telephone number, email address and location. The purposes for which we use your information and the legal basis under data protection laws on which we rely to do this are explained below. To verify your identity as part of the account opening process for new customers; for making a credit check on you. We may carry out a search with a credit reference agency who will keep a record of our enquiry against your name and which may be linked to your representatives (“associated records”). For the purposes of any application for products or services from us, you may be assessed with reference to “associated records”. Where any search or application is completed or agreement entered into involving joint parties, we may record details at credit reference agencies, as a result an “association” will be created that will link your financial records. Details of which credit reference agency we have used are available on request. We may also add to your or, if applicable, your business’s, record with the credit reference agencies details of your agreement with us, any payments you make under it and any default or failure to keep to its terms. These records will remain on the credit reference agencies’ files after our agreement with you is settled or terminated whether settled by you or, if applicable, your business or by way of default. These credit reference agencies may create, or add to, their own record about you, or, if applicable, your business, details of our search and your application. This and other information about you or, if applicable, your business and those with whom you are linked financially may be used to make credit decisions about you or your business. where we are permitted to do so, to send promotional information about our products and services via methods such as e-mail, post, telephone, etc. ; and to contact you via post, e-mail or telephone in relation to the administration of your account or to carry out quality control research. to contact you about products and services that may be of interest to you. as part of our internal research and statistical analysis activity. We will take steps to ensure that the personal data is accessed only by personnel that have a need to do so for the purposes described in this notice. to third party agents or contractors (for example, the providers of our electronic data storage services or call centres) for the purposes of providing services to us; and with your consent, to third party affiliates who may wish to offer you products and services which may be of interest to you. These third parties will be subject to confidentiality requirements and they will only use your personal data as described in this privacy notice. *The amount entered and displayed is not inclusive of GST. This calculator and estimates are provided as a guide only. Any calculations made by this calculator are intended to be used as a guide only and does not represent a quote from Partners Finance & Lease and therefore must not be seen as conclusive. For a more accurate quote, we recommend contacting a member of our team on 0800 727 101. Your application is subject to Partners Finance & Lease’s lending terms and credit approval criteria. Partners Finance & Lease does not accept any liability for any loss or costs incurred whatsoever as a result of information provided via this calculator or obtained through this website.